Ever wondered what happens when plants do too well in our ponds, lakes and waterways? Some invasive plants can be a real problem. It’s up to all of us to prevent them from getting a hold in our local environment. But would you know one if you saw one? At Merebrook Pondplants we pride ourselves on growing our plants outdoors in native climates. However, plenty of the water lilies you see in the garden centres are grown in China or Israel and imported for sale here. Don’t get us wrong, we love the diversity globalisation brings to our gardens. Many beloved pond plants grown in the UK today have come to us from all over the world over the years. Familiar Japanese imports include irises (laevigata) and our miniature bulrush (typha minima). While water hawthorn (aponogeton distachyios) came here from South Africa, and, of course, our lovely Louisiana Irises originated in the USA. Most of these immigrant plants are benign and just add to the variety of lovelies that decorate our ponds and bring joy to the garden. Sadly some plants are so happy here that they can become a complete nightmare. In some cases they rampage through our waterways and rivers, and block up our lakes. These nuisance invaders are the ones that have to be controlled. 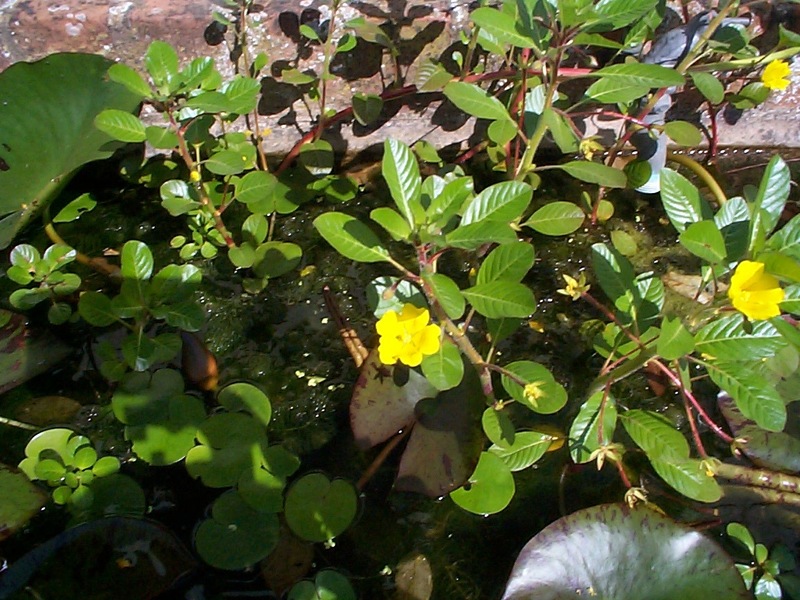 We have curated a list of the non-native invasive aquatic plants currently banned from sale in the UK under Schedule 9 of the UK Wildlife & Countryside Act 1981. 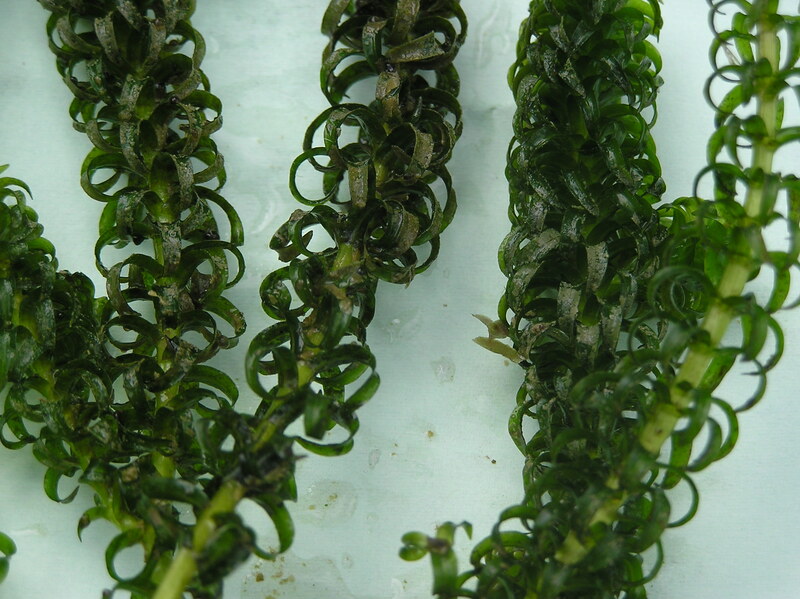 Water Fern was originally introduced as an aquarium plant. 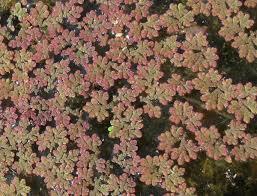 It is a type of duckweed as is easily identifiable because it is reddish in colour. 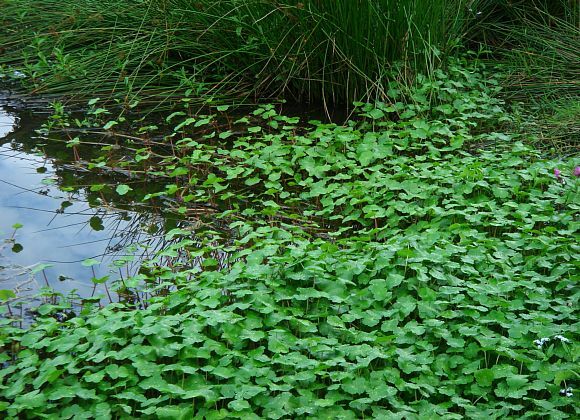 It’s an incredibly invasive plant and forms a thick mat across all the available water surface. This makes it very difficult for anything else to grow. It also has other dangers. A pond in our area was so thickly covered that a little dog walked out onto it thinking it was solid. Sadly the dog drowned. Not to be confused with our native and more delicate oxygenator myriophyllum spicatum. Parrot’s Feather is coarser and much more vigorous. We used to grow it before it was banned and found that it would die right back in a cold winter. However, not so further south where it became a real nuisance in ponds, lakes and canals. The ban was well considered as we suspect these invasive plants would have survived happily here over the recent mild winters. Again, not to be confused with our native and very lovely frogbit (hydroctyle morsus ranae). 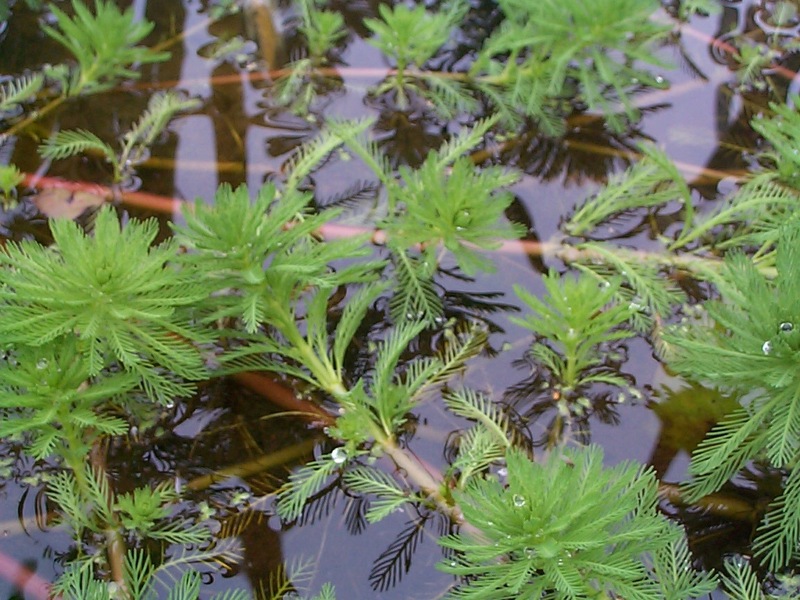 This invasive plant is clogging up lakes, canals and slow moving waterways throughout the south of England and gradually moving up into the Midlands. This is such a pretty plant that it’s a great shame that it can be a real problem in warmer areas. 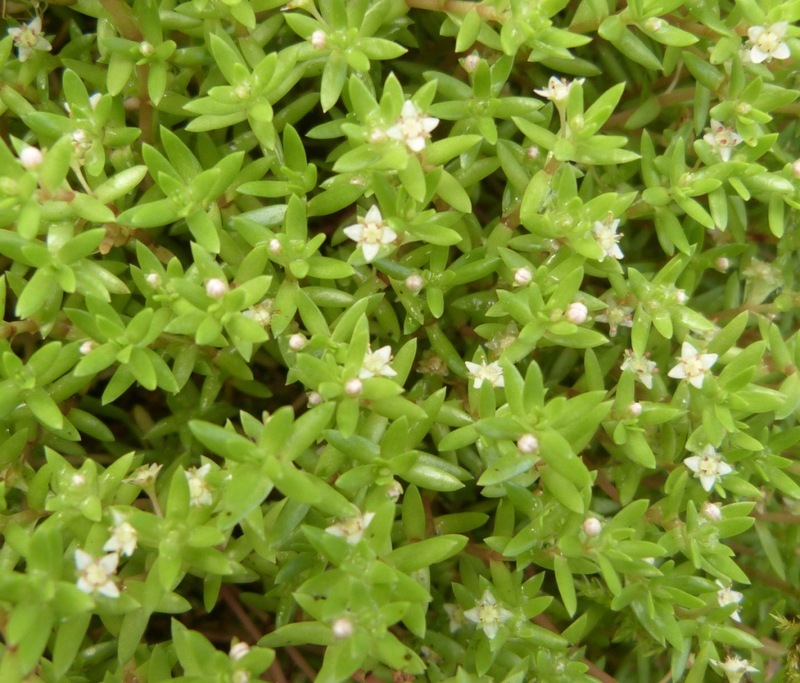 Also known as New Zealand Pygmy weed (crassula helmsii, also sold as tilia aquatica). This is one of the most invasive plants we have encountered. It is a real pain because it is almost impossible to get rid of once it gets established. It has a rubbery surface that is impervious to any weed killer and very readily breaks up into small bits and pieces. If you leave a morsel behind it will get going again. Used to be one of the commonest oxygenating plants and was sold everywhere throughout the UK. Sadly this invasive plant is is still being sold illegally in some places. We recently went for a canoeing lesson at a local water sports centre, but couldn’t really get going because their lake was so full of this weed! Trying to get rid of any of these plants can be a nightmare. All of them are causing real problems for those who manage our ponds, lakes and waterways. So please, if you have them, get rid of them and share this information with any other water gardeners you meet.